Rarely, if ever, does anyone sit on the fence when it comes to going to the gym. The experience is either one that you love or one that you loathe. Thankfully, keeping fit doesn’t necessarily mean that the gym is a prerequisite and requirement. There is a multitude of different ways and means to get healthy without having to step foot in the gym. One such way which has proven to be popular is to create your fitness haven at home, allowing you to make fitness progress from the comfort of home. Read on to find out what kind of equipment is just a must for your home gym and what you can consider being the best home gym equipment for your needs. Easily one of the most affordable pieces of workout equipment you can buy, jump ropes are a great alternative to traditional cardio. If you are in search of a high-intensity training method that burns many calories and uses all your muscles, then jump rope is one of the best options for you. You might be taking this for granted, but the simple exercise mats are handy, especially when you consider the wide variety of movements and workouts that can be done on the floor. They will provide you with the cushion you need to prevent injury and discomfort during your strenuous floor-based exercise. While they only recently have gained popularity and experienced growing interest, kettlebells are a great way piece of equipment that you can use to work not only your upper or lower body but your core as well. There is a multitude of different exercises and movements, with hundreds more being discovered and created. Another benefit of kettlebells is you can get away with having just one and still be able to get an effective full-body workout done. 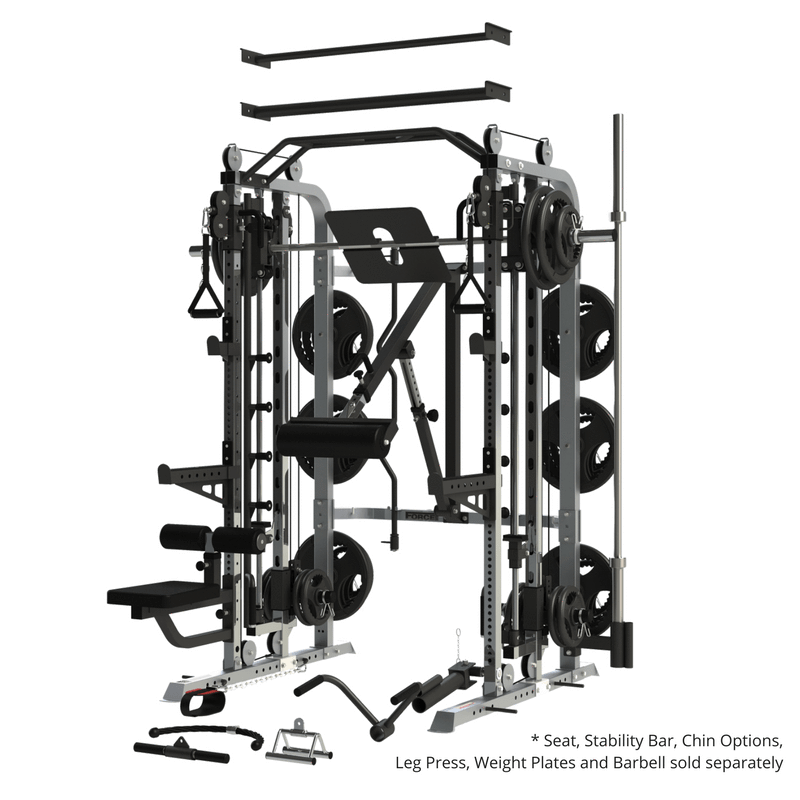 The power cage may sound intimidating, but it is a true classic when it comes fitness. It allows you to perform three powerful compound movements, namely the bench press, squat, and deadlift improving your overall fitness. If you’re keen on building strength but also enhancing your conditioning this is one piece of equipment you’ll want at home. If you’ve had your fill with traditional cardio, you might want to trade it in for a heavy bag and set of gloves. As you pummel that punching bag, you will torch fat, increase your speed, reflexes and even build fearsome power. The pull-up bar allows you to perform yet another muscle building and fat shredding movement known as the pull-up. By simply wedging this equipment into the top of a doorframe you can then go on to perform chin ups, pull ups as we as a series of other exercises depending on how creative you are. A good set of abs is a great indicator of fitness. The jury is still out on that, but the ab wheel is a sure-fire way to help you build your washboard abs as you perform set upon set of ab rollouts. Lastly, if you do enjoy using different machinery in the gym but find the actual gym a bit of a hassle to get to then, an indoor home gym will be precisely what you want. This equipment allows you to perform many exercises using one machine and saves you the hassle of travel and having to wait for someone to finish their “last set”. If you’re convinced that a home gym is what you’re after but still not sure what range of home gym equipment you want in yours then feel free to come to visit our showroom. There not only will our staff be on hand to assist but you can even try the equipment out for yourself. Contact us today.